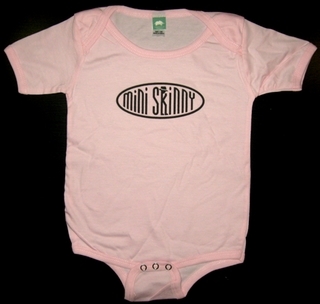 Do you love Big Skinny so much that you want to shout it from the rooftops? Well here's your chance! Put on some Big Skinny logo apparel and show the world what a super-fan you are. We offer plenty of stylish and comfortable clothing options to choose from, so whether you're looking for a onesie for the baby or a T-shirt for daddy, you've come to the right place. Our adult clothing is printed with the Big Skinny logo, while children's selections are printed with a Little Skinny logo. Mix and match to outfit the entire family. 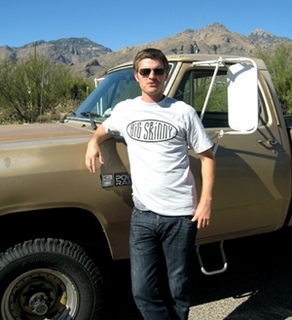 Our apparel is designed with customers in mind. After all, it was our loyal fans that started requesting apparel in the first place. 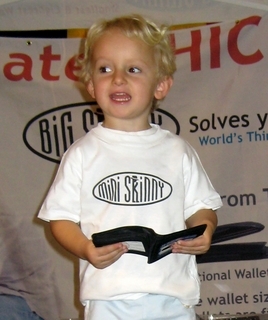 Most new customers become converts to the Big Skinny lifestyle within days of receiving their first wallet. Now our fans can broadcast their Big Skinny love by putting on one of our logo shirts. Like our wallets, our t-shirts are designed with quality and comfort in mind, so you can rest easy knowing you're getting the absolute best value for your money.